The two main persons in our firm are Carol Kelly and Patricia Feeney. Carol Kelly originally from Cork, travelled to Dublin and the USA before eventually settling to Foxford Mayo. 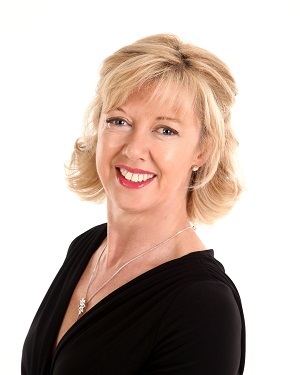 Carol has been working in the Auctioneering business since 2005 with extensive knowledge of principles and practices of property management and of local laws and regulations. Carol returned to College in Athlone in 2008 and 2009 and received a Diploma from The Institute of Professional Auctioneers and Valuer. She was also awarded student of the year in 2009. Carol further enhanced her studies in 2014 by completing the REV (Recognised European Valuer) Blue Book Valuation course in IT Tallaght and received her certificate. Patricia Feeney qualified as a CPA (Certified Public Accountant) in 2007. Patricia joined the company in May 2014 bringing with her years of experience both in the field of accountancy and Hospitality. She has excellent interpersonal skills which she demonstrates on a daily basis. CK Properties/Auctioneers are delighted to have Patricia on board and feel she is a great asset to the firm.